Do you struggle for storage space? Take a look at our fitted bedrooms in Christchurch. You will be surprised at how much more you can store in your room without sacrificing your floor space. Our dedicated team take care of all aspects of bedroom fittings from design to manufacture and installation. 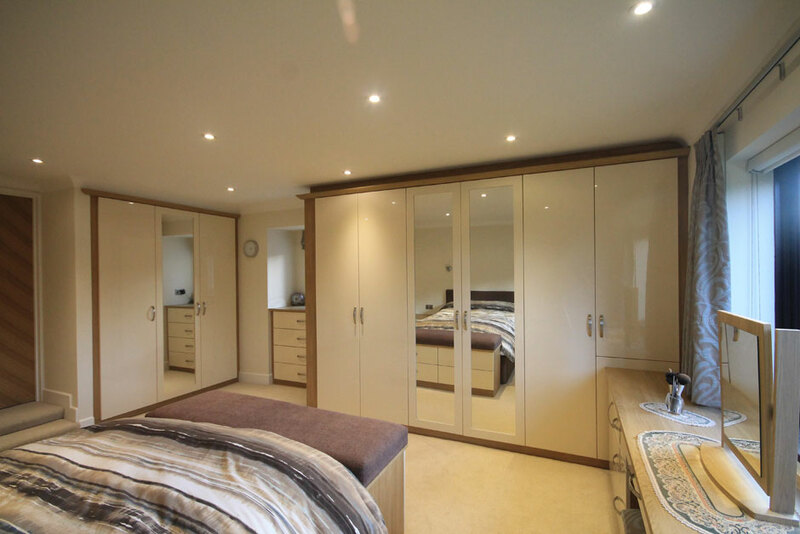 Have you always wanted a way to maximise the space available in your Christchurch bedroom? Make it a reality with our customised wardrobe fittings. Your room will look less cluttered and more organised with our made-to-measure fitted furniture which can be modified to suit your personal preferences. We can manufacture wardrobes for bedrooms of any size, and will ensure that the finished product fulfils all of your requirements. Read on to find out more about our selection of inbuilt Christchurch wardrobes. 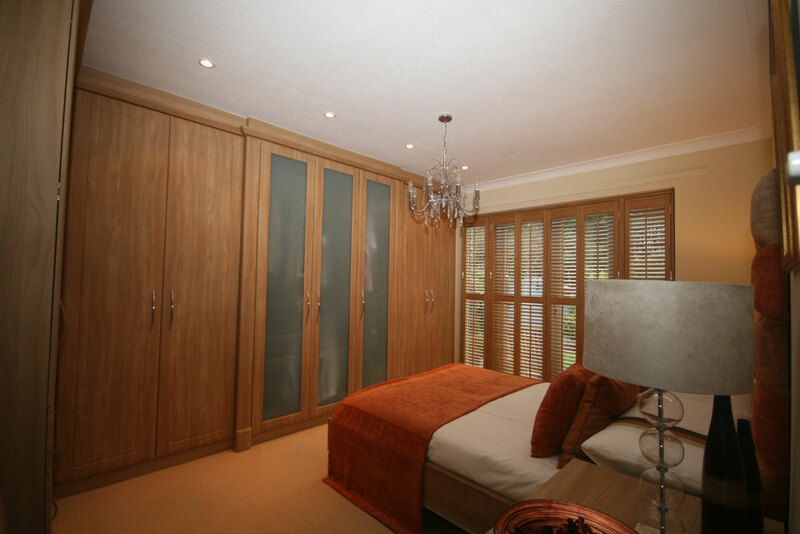 Our hinged wardrobes come with soft-close cabinets as standard to add a luxury feel to your fitted bedroom. Not only are they the classic choice, but they offer easy access to your clothes and personal items. 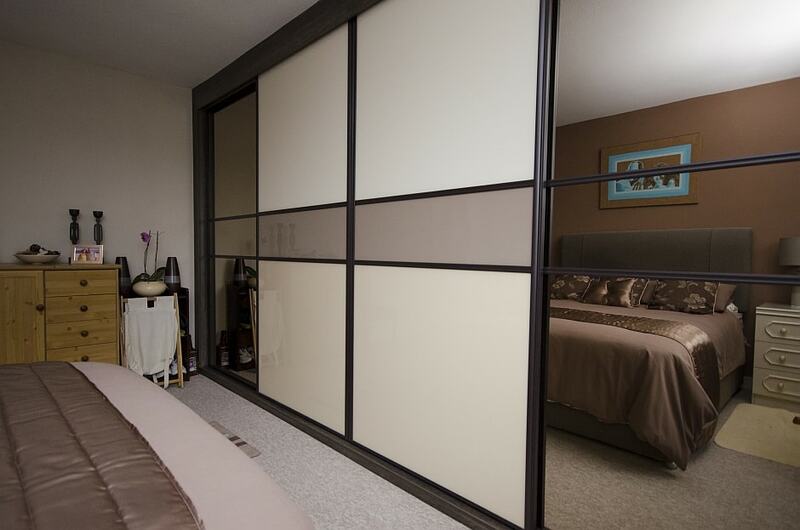 Sliding wardrobes are a fantastic option for those who are particularly short of space. Due to the sliding mechanism, you will not need to worry about being able to fully open a traditional hinged wardrobe door. If you would like some freestanding furniture to go alongside your fitted bedroom, we have just what you need. Our range of bedside tables, chests of drawers, and dressing tables can also be customised to match your fitted units. Our Christchurch bedroom fittings are manufactured locally, competitively priced, and come with a 5-year guarantee. All units are installed by our fully qualified fitters who are always happy to offer expert advice and recommendations during the process. We only use the highest quality materials to guarantee a solid and sturdy result for your Christchurch home. Our units are made from 18mm MFC, so there will be no bowing, breaking, or collapsing which can occur in some lower budget wardrobes. The product durability, personal finishes, and professional installation make our fitted bedrooms the best value you will find in Christchurch. Alternatively, view our before after images.